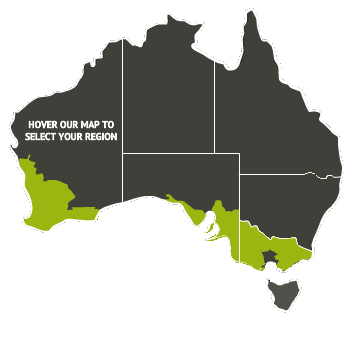 Mixed farming involves some 19,000 producers and covers approximately 47 million ha of farm land in Southern and Western Australia. Since 2003 ongoing mixed farming programs, the most notable being Grain and Graze, has conducted research, development and extension activities to enhance the profitability and sustainability of farm businesses. Primarily this involved grazing crops (stubbles over summer and spring/winter crops in winter), the matching of pastures and fodder crops to fill feed gaps and the identification of suitable parts of the landscape to conduct cropping and grazing activities that minimise environmental impact and optimise farm profitability. The ability of a farmer or advisor to embrace the complexity associated with mixed farming is critical for success. Appreciating the opportunities, trade-offs and synergies from mixed farming, along with how this changes the risk within the businesses adds a layer of difficulty not encountered when focussed just on a single enterprise. Tools and calculators have been created to assist in these deliberations. Ultimately though, success relies on the capacity of the farmer to make good decisions at the right time. The mixed farming program has been at the forefront of understanding and developing skills and products to help in decision making. This website contains reports, case studies, tools and calculators developed during 15 years of mixed farming investment. We hope you find the content valuable. Information can be accessed through the themes or publications tabs within each phase of the program or by using the keyword search facility at the top right hand corner of the website.